Thousands of homes and businesses in New Jersey still need to be rebuilt, raised, or retrofitted to comply with post-Sandy flood regulations. How to make historic buildings among those more resilient while retaining their character is a unique challenge for neighborhoods and planners. Take, for example, historic brownstones in Jersey City and Hoboken. “By their very construction, brownstones are almost impossible to lift, and so then you start looking at the question of what do you then,” said Tom Dallessio, director of the New Jersey Institute of Technology’s Center for Resilient Design. “It’s been said that an option could be to vacate the first floor and just allow that to get wet, but then there’s an economic argument to all of that,” Dallessio said. 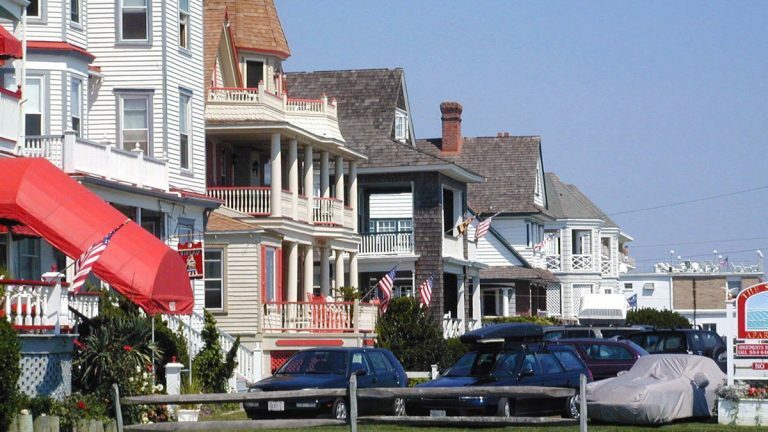 Colonial and Victorian homes in New Jersey Shore towns may likewise be difficult or impossible to put on stilts. Dallessio will speak Saturday at a workshop organized by Preservation New Jersey aimed at exploring solutions to making neighborhoods more resilient while retaining their individual character. “Just as every building is different, every town may end up with a different solution,” Dallessio said. One potential option Dallessio’s center has explored is building raised concrete platforms as the base for entire neighborhoods. Justin Mihalik, co-chair of the American Institute of Architects’ Regional Recovery Working Group, said another goal of the workshops are to get neighbors talking about a unified plan for elevating homes and businesses. That has implications for how neighborhoods look and how utilities are delivered. The workshop will also ask what happens to residents along the Shore who can’t afford to elevate or rebuild. The workshop focusing on coastal flood mitigation Friday, Dec. 5 will be held in Beechwood, NJ, and the workshop focusing on urban resilience Saturday, Dec. 6 will be at the NJIT campus in Newark.